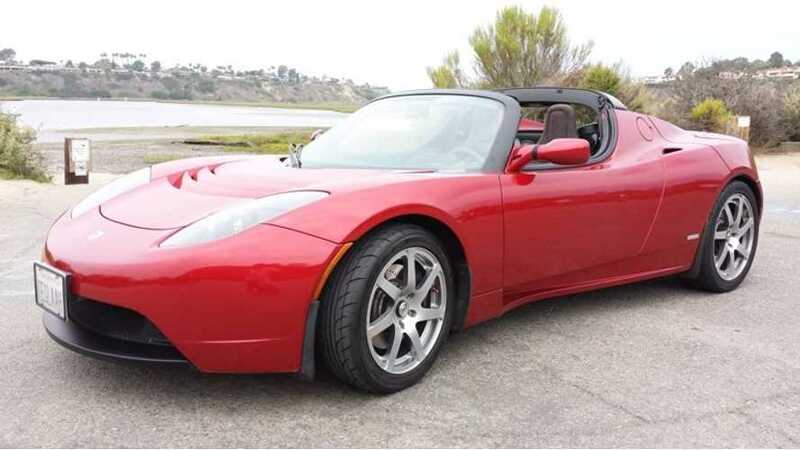 "This beautiful Radiant Red Tesla Roadster was kindly donated to us and we are auctioning it on eBay. 100% of proceeds go directly to Plug In America! Bidding ends Thursday!" Says Plug In America via its Facebook page. 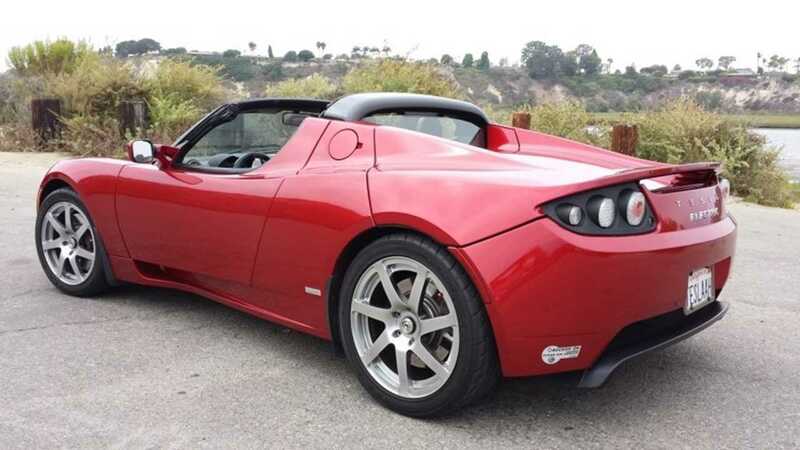 Bidding on this red 2008 Tesla Roadster with 28,801 miles currently is at $55,200 (with 33 bids as this post went live). Remember that all proceeds go to support the cause of Plug in America. Plug In America, the nation’s foremost plug-in vehicle advocacy group, is pleased to be able to offer this once in a lifetime opportunity to own a vehicle that embodies the ingenuity and determination of one of America’s great success stories. Like Plug In America, Tesla Motors believed that electric drive was not only a viable option for vehicles, but, in fact, the best option for a truly remarkable driving experience. The Tesla Roadster was a groundbreaking automobile that will go down as one of the few great automobiles produced over the last few decades. Linda Nicholes, co-founder of Plug In America and long-time advocate for solar energy and plug-in cars, has been on the front lines of the plug-in movement since the beginning. When Tesla announced that they would be selling vehicles to the public, Linda was among the first in line. Her roadster, production number 20, has been featured at numerous plug-in events and has even had a few media cameos. After purchasing one of the first Model S Sedans, Linda has generously offered her Roadster, “Tessie,” to Plug-in America to support our work in promoting the adoption of electric drive. This is your opportunity to own a rare, one-of-a-kind automobile, and one that provides an amazing driving experience, as well as turning heads wherever it goes. This vehicle is in pristine condition. It has all the accessories that originally came with the vehicle including both the soft and hard top, and an array of charging adapters that will cover virtually any situation. This vehicle will be available for viewing at the Long Beach National Plug In Day event on Saturday, September 28, 9am -2pm at California State University Office of the Chancellor, 401 Golden Shore, Long Beach, CA. Note: This item is being auctioned by Plug In America but the actual purchase will be made through the current owners of the vehicle who are donating the proceeds of the sale to Plug In America.